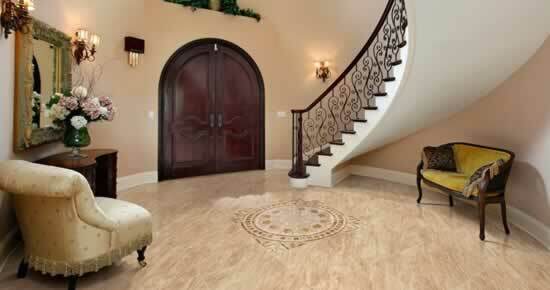 There are many reasons why people tend to fall in love with ceramic tile flooring in Mesa. One of them, and the most important for a lot of homeowners, is the fact that these floors are durable. When you combine this factor with the ease of maintenance and very hard wearing, it is almost impossible to not want to have ceramic tiles in your home. Ceramic tiles will certainly give your house that amazing feeling that people tend to love so much. But, there are also certain challenges that are inherent to ceramic tiles which you can learn about so you can be more prepared for everything that comes with your ceramic tile choice. One of the biggest issues that you will tend to struggle with when you get Mesa ceramic tile flooring is chipping. These tiles are quite susceptible to chipping, cracking, or breaking. This will, in most cases, be as a result of extreme pressure on the tiles, or as most experts love to colloquially refer to them, as physical abuse. If you keep dropping stuff on the ceramic tile floors, you can only expect that they will crack or chip, or worse, break into pieces. In order to avoid such challenges with ceramic tile flooring in Mesa, it is important that you exercise caution. You need to make sure that you treat your ceramic tiles in the same way that you would treat glass. Take extreme caution whenever you are handling anything heavy on the floor. It is also possible that your tiles could basically have a weak point, meaning that the floor may be vulnerable all the time. You, therefore, need to ensure that you hire an expert to assist in choosing the right ceramic tile flooring in Mesa option for the best results. What is one of the biggest challenges concerning ceramic tile flooring in Mesa that I need to know about? If there is a problem that a lot of people have with ceramic tile flooring in Mesa, it is the fact that most people do not really know how to choose the ideal floor tiles for their house. You need to learn the fact that there are different types of tiles available, and each of them is important in one way or the other. With that in mind, you cannot have tiles meant for the walls and install them on the floor, in the process hoping that you can actually get good results. Basically, if you are unsure of what you need to get, look for an expert and have them help you make the right choice for your home. How do I replace broken or chipped Mesa ceramic tile flooring? It is very easy to replace the chipped and broken Mesa ceramic tile flooring. You might not be able to do this on your own, but if you get help from someone who knows what to do, this will be a lot easier and cost-effective. To replace these tiles, you basically need to remove the segment that is damaged and have a new set installed in its place. What is the importance of expert support for ceramic tile flooring in Mesa? You should always hire an expert to assist with the installation of ceramic tile flooring in Mesa. Before you get their support, however, it is important that you learn what makes the difference between an expert contractor and the rest. Ensure that you hire someone who has many years of experience in the industry so that you can benefit from working with them and benefit from the results that they deliver.